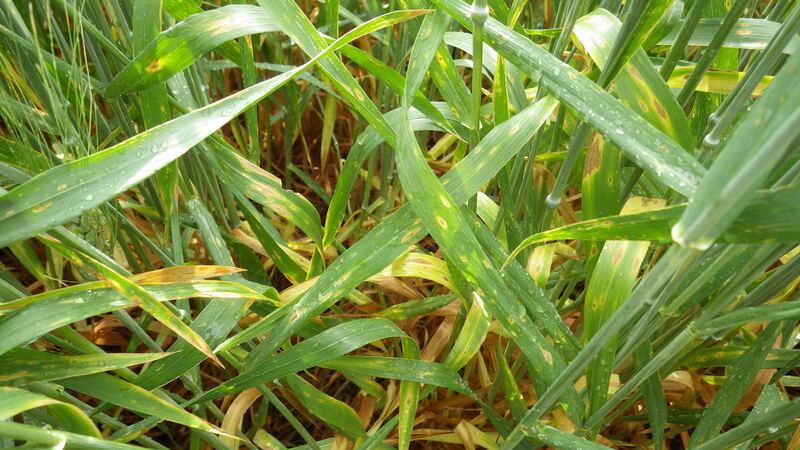 Tan spot is an economically important disease occurring anywhere wheat is grown in the U.S. and Canada. Tan spot is caused by Pyrenophora tritici-repentis and is also called yellow leaf spot. 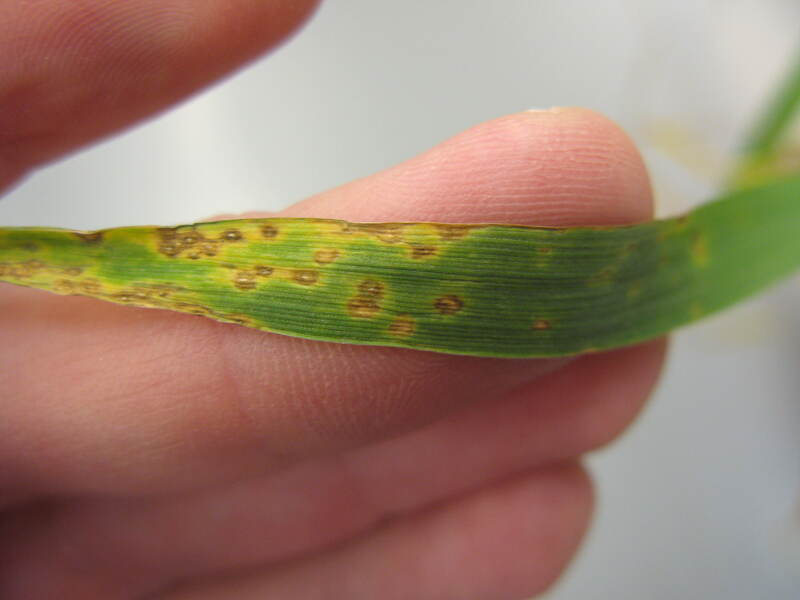 In susceptible wheat varieties, tan spot initially appears as small, brown spots on leaves. Spots enlarge and develop tan necrotic spots with a yellow halo. A pinhead size black spot may be present at the infection site. The expanding halo will give the tan, oval spots a diamond-shaped appearance. Lesions can coalesce to form large areas of blotchy, tan, necrotic regions. Infection by the fungus that causes tan spot can occur anytime during the growing season and is favored by wet, windy weather. Although older plants are most prone to severe tan spot, high levels of disease can occur during most growth stages. The fungus survives in crop residue and native prairie grasses. Varieties of wheat with moderate resistance to tan spot are available. Crop rotation to a non-host crop (other than wheatgrass, bromegrass, or rye) is a very effective management strategy. Encouraging residue decomposition reduces inoculum. Fungicides are labeled for management of tan spot. Scout and consider factors such as varietal susceptibility, forecasted weather, length of rotation away from wheat, and yield potential prior to fungicide application. Gallery images: M. Burrows, A. Friskop, J. Marshall, and E. Byamukama. 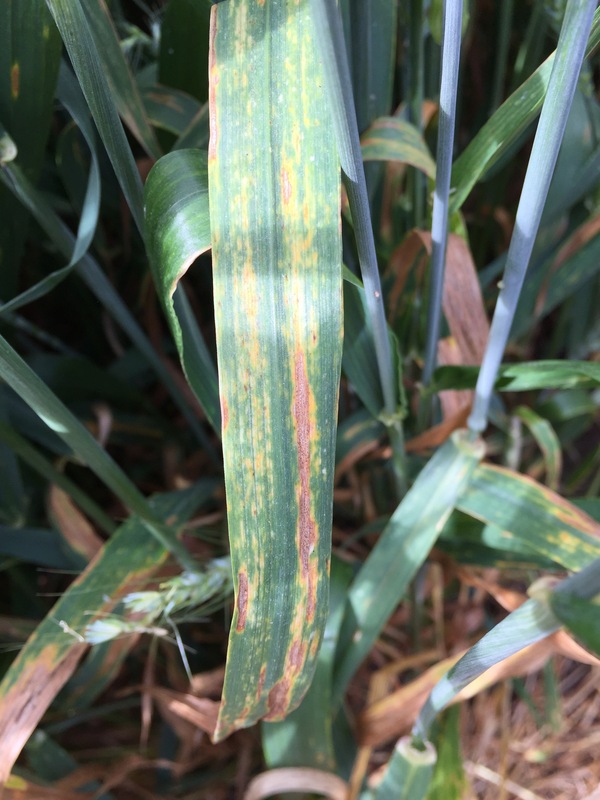 Tan spot leaf lesions on wheat. 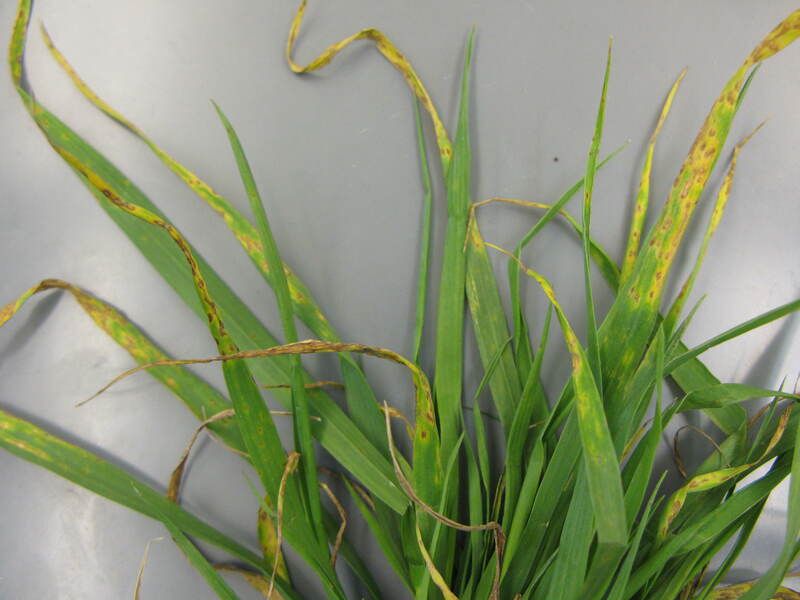 Wheat plant infected with the pathogen that causes tan spot. 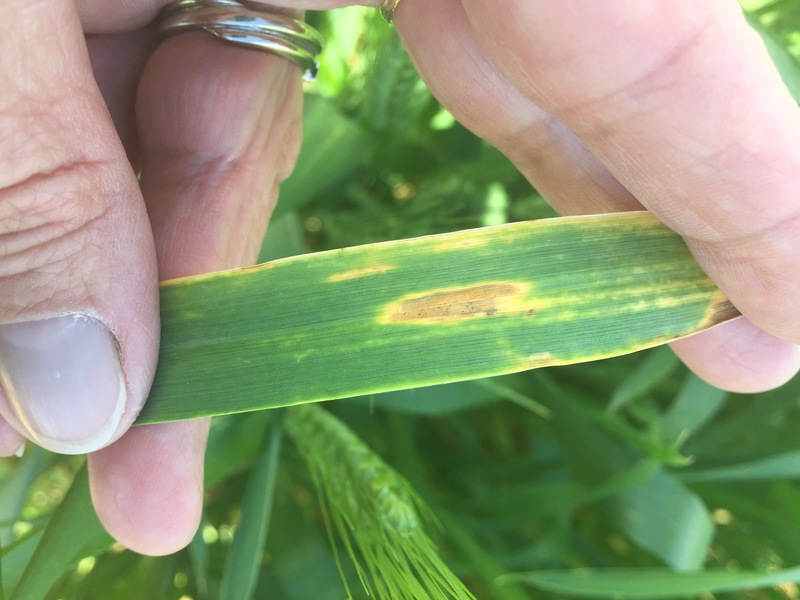 Tan spot leaf lesion on wheat. Infection can occur anytime during the growing season . 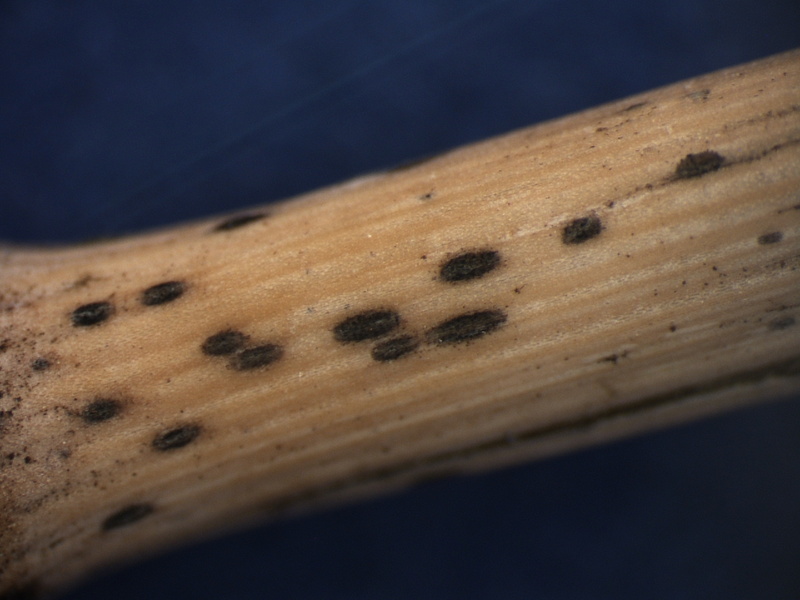 Dark, fungal reproductive structures produced by the pathogen that causes tan spot.